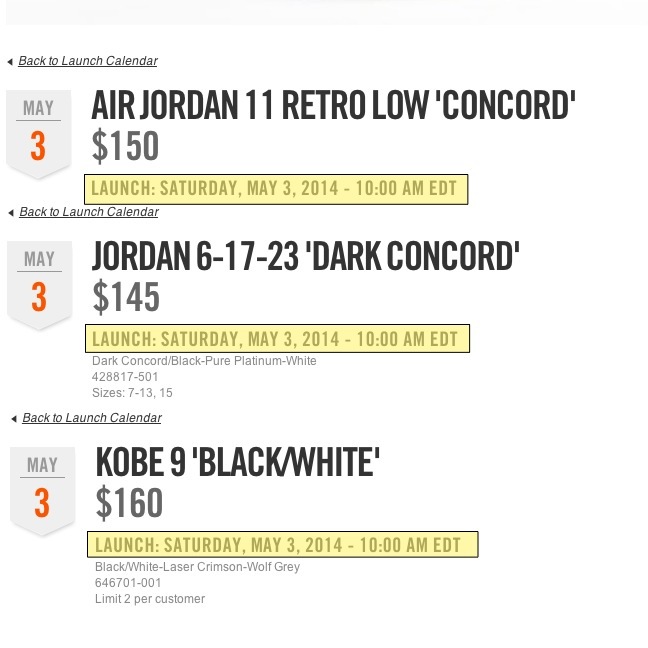 Whether this is going to hold true for the foreseeable future has yet to be determined, but Nike is reporting new launch time for the Jordan 11 Low Concord, Kobe 9 EM Laser Crimson, and Jordan 6-17-23 Dark Concord dropping this weekend. Usually, the launch time is set at 8am EDT, but for this weekend, the time has been pushed to 10am EDT. This will, in effect, give those on the West Coast a better chance of copping some of those coveted Saturday morning kicks sense they will not have to wake up at 5 am PDT any more. Stay tuned for more details, and I’ll let you know if this becomes permanent, but in the mean time, get some extra sleep.